Finally, part 3 of my Smokey Eye Series is here! Had time to waste last night and here's what I came up with. 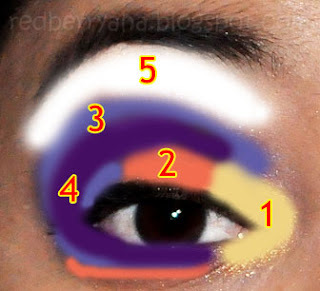 It's just a deep purple smokey eye with a touch of coral to make it more fun. It actually kind of looks like plum LOL. 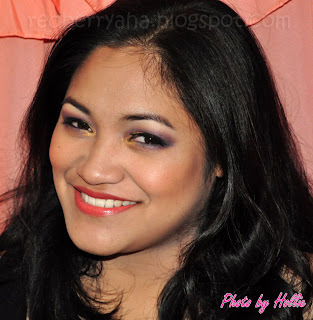 I used an orange toned lipstick and blush to compliment the hint of coral shade on my eyes. Now you are ready to party! If you have requests on any kind of look, I would be glad to make it for you. I need suggestions for the next smokey eye look. super pretttyy and sexxxay! what's your secret? share share share! Sooooo purdy!!! 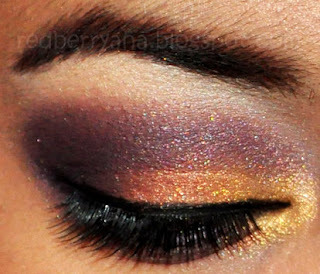 I like the Purple & Gold combination~ I can't wait to try it soon. WIN a BAG, SHOES and CHOCOLATES! Join my Paisley CLothing halloween GIVEAWAY! def love your eotd :) so effin gorgeous. this is such an intense look on you and I love all the colors!! How did I miss this post? I love it Hollie! The colors are so gorgeous. I love the eye shadow that you use in this post.